Looking for a small bass amp for home use 20 watt(ish) roundabout the �100 mark, am considering the Warwick BC20 as it sounds good on teh youtube demos... Don't need anything bigger as I've been using my Sparrow di when playing live and am very happy with my sound... Any opinions? Or suggestions? Have a look at Orange Crush bass amps. I remember James on here got one and was happy with it. Most of the guys up here use the Laney combos, they're cheap and sound great. They've also got enough poke for small gigs and jams if needs be. What model... Laney RB2 Richter? The bass player in Sell Crazy has a larger Laney Richter series amp and it's lovely. It would function, but guitar amps are usually voiced for guitar and don't give that nice low end. You'd probably get more low end with a bass amp and 1x10" than a guitar amp and 1x15". Yeah there's at least three RB2s kicking around one of the rehearsal spaces I use. They sound great at any volume, they manage to found good when you're ragging them too which is rare for smaller amps. I have a 25 watt orange crush bass amp too and love it. I really like it a lot more than any other bass amp of that size. It sounds awesome and is the perfect size to pick up and take anywhere with me. Holyshit, Billy3000! How the devil are you? Doing great man! It's been a while since I've posted regularly on here, but I still pop by every once in a while! How've you been? I need to post an update thread in the pub sometime since it's been such a long time since a lot of you have heard from me! 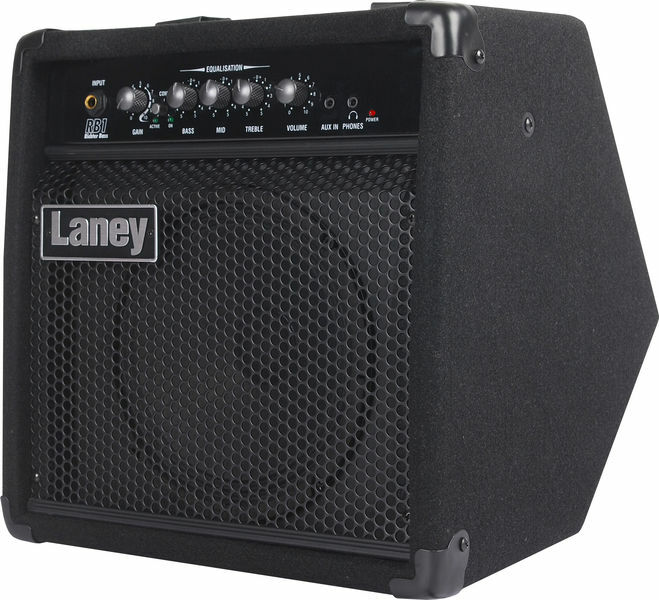 Went to Guitar guitar earlier today and tried the Laney RB2, ended up buying the RB1 as it was just for home use so I didn't need the 30watts 15 will be more than enough and it sounds great for such a small amp. I was going to suggest that little Orange Bass Terror thing I saw at the jam on Sunday plus a 1x12, but it looks like it's actually 500W.